The chairman and ranking member of the House Ethics Committee are urging lawmakers to pass legislation that would hold members of Congress financially accountable in certain cases of workplace misconduct. Reps. Susan Brooks (R., Ind.) and Ted Deutch (D., Fla.) released a statement Friday asking their colleagues on Capitol Hill to pass a reformed version of the Congressional Accountability Act (CAA). The measure would make sure a member of Congress wouldn't be able to evade liability for illegal and unethical actions by simply resigning. "In this Congress we have worked closely with our colleagues on the Committee on House Administration and other Members on the Congressional Accountability Act (CAA) and strengthen workplace rights and protections for employees in the legislative branch. … the bill includes specific features to ensure that the House and Senate ethics committees have the tools and information they need to investigate alleged violations of workplace rights and other personal misconduct," Brooks and Deutch said. The lawmakers noted that "recent events highlight in particular the need for the bill's provisions to make Members personally liable for their own conduct." They cite the cases of two members who were recently forced to resign after allegations of improper actions: Reps. Blake Farenthold (R., Texas) and Patrick Meehan (R., Pa.). Both used taxpayer funds to settle allegations of sexual harassment, and in both cases, the ethics committee lost any authority to request repayment once the member resigned. Following his resignation, Meehan said he would pay back the United States Treasury for the approximately $39,000 spent to settle his case and has since sent the reimbursement payment to the Treasury. Farenthold initially said he would also pay back the $84,000 in funds used to settle a lawsuit brought against him. Last week, however, he announced he would not do so. "There is overwhelming bipartisan consensus in the House that Members should be personally accountable for settlements paid with public funds to resolve claims against them alleging sexual harassment," Brooks and Deutch said. The CAA, which passed the House of Representatives, would require all members pay back the government within 90 days after an order to do so following a settlement or case regarding their conduct. 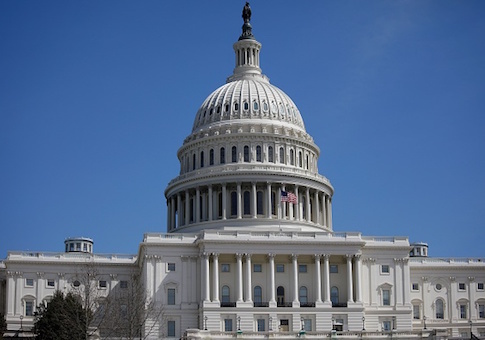 "If a former Member fails to follow through, the bill provides for garnishment of retirement annuities to ensure the amount is repaid," the statement said. "Recent matters before the Committee illustrate the need for these provisions." Although the House has passed this measure, the Senate has not. Brooks and Deutch want the Senate to also include the outlined measures in its version. "It has been more than three months since the House passed the CAA Reform Act. The Senate has now introduced and may soon act on similar legislation intended to reform the CAA," the letter said. "We believe that any proposal to reform the CAA should include provisions to ensure that Members remain personally liable for their own conduct with respect to discrimination and retaliation, and that they remain liable even if they leave Congress." This entry was posted in Issues and tagged Congress, Ethics, House of Representatives, Senate. Bookmark the permalink.